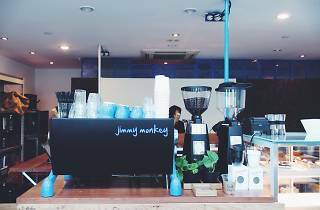 After two years of feeding the ladies who lunch and the have-eggs-Benedict-will-travel crowd, Jimmy Monkey returns to its coffee-serious roots with a brew bar in the condominium block opposite its original outlet, in Buona Vista. 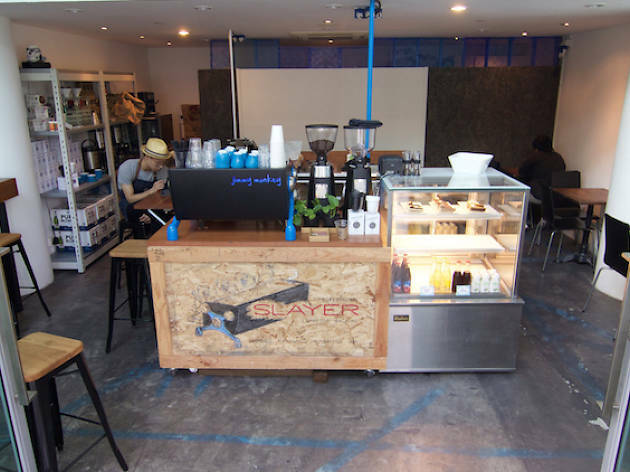 Jimmy Monkey too has not one but two top-of-the-line Slayer machines from Seattle, now etched with the café’s toothy monkey branding. 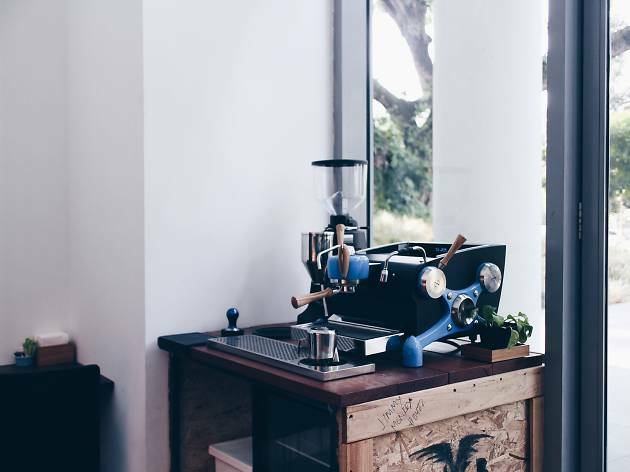 The gear drives the coffee programme at JMtoo. 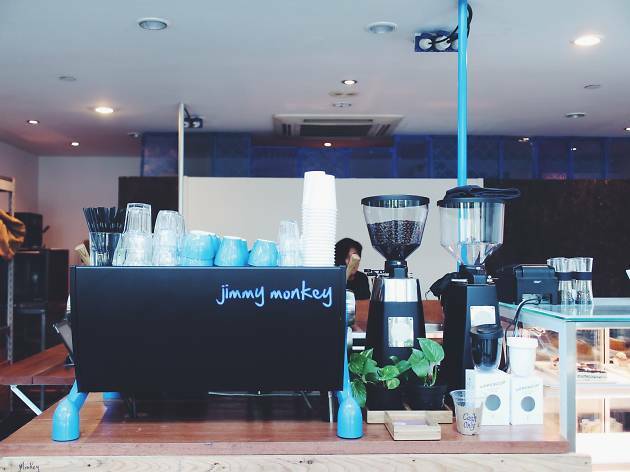 Sit around the brew bar, dominated by the main machine, as your barista brews Jimmy Monkey's flagship, a full-bodied Ironbark 3.3 blend, for an espresso ($4), latte, cappuccino ($5), or mocha ($6). If cortados (equal parts milk and espresso) are your thing, ask for the Magic Cup brew, which pours the perfect one-to-one ratio of milk and espresso into a thick, heat-retaining tulip-shaped cup. 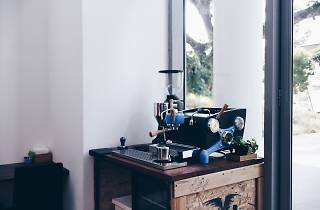 A smaller single-group machine, named the ‘Baby Slayer’, sits by glass windows for fellow baristas to pop by and have a drive on this so-called 'Ferrari of coffee machines'. 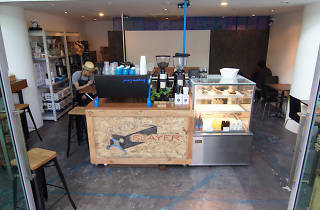 As the space has been carved out mainly for coffee, JMtoo serves a pared-down menu of jaffles ($10) – toaster-ironed sandwiches – sandwiches ($10), tarts and cakes ($8) from 7am daily, and plates like Jimmy Monkey's breaky muffin ($14) and smashed avocado and feta Hulk ($16) sandwich.